Symphonic Band is an all-inclusive ensemble of 10-12th grade students. Students continue to build their musical and instrumental skills in a supportive environment. Members are strongly encouraged to participate in the OMEA District XV Solo & Ensemble festival, typically held each year in February. The Symphonic Band performs at 3-4 evening concerts throughout the year and may travel to an adjudicated festival each spring. In May, select members may be asked to perform at Westview's graduation ceremony in June. 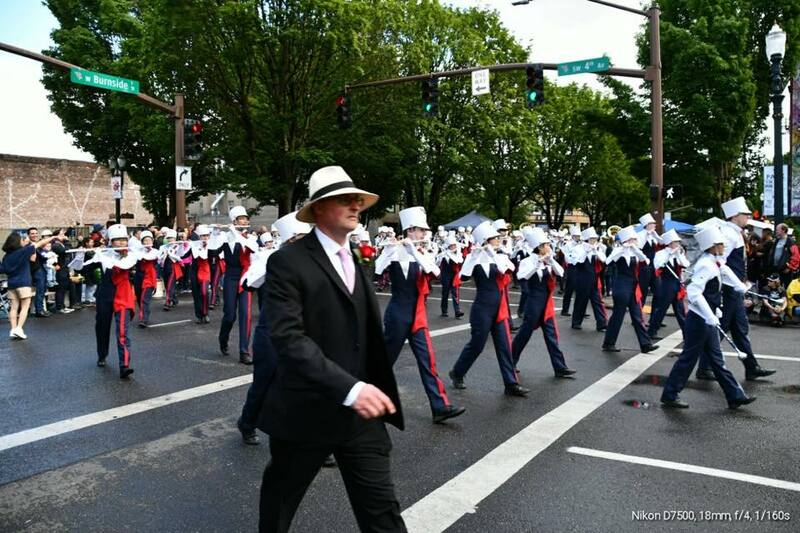 Additionally, the Symphonic Band members combine with the other two bands to make the marching band that performs for the Rose Festival events in the spring. Assessment 1: 2 Octave Chromatic Scale found on WIBC audition music. Assessment 2: Rhythm from Celebration of Life, plus selected measures. Percussion, all of Cirone #1 on Snare Drum.